In my previous post shared my thought about How to implement sliding menu in Xamarin android, Best Practice and issues with ListView in Android Xamarin, How to avoid ImageBitmap OutOfMemoryException and Rounded corner Image in android Xamarin,Drawing path between two location in xamarin android. any application and in the same way animation is the key to designing a most pleasant user experience. 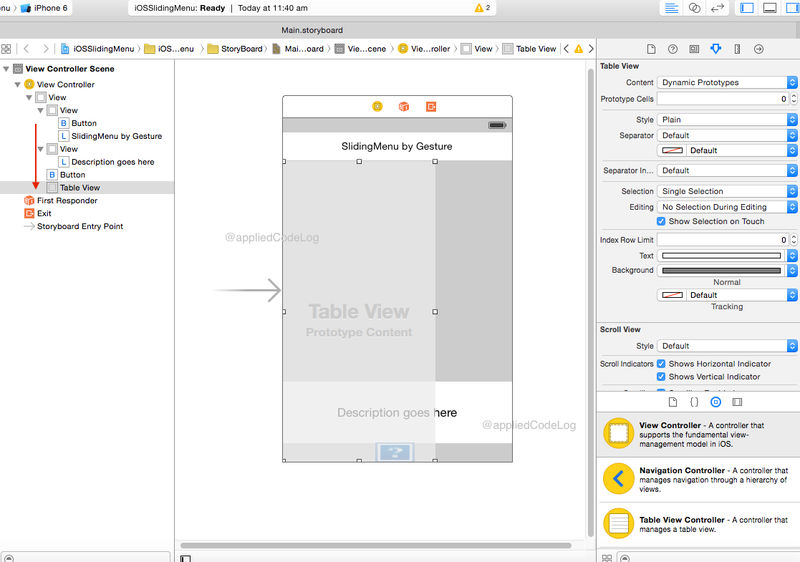 to get this add the tableview in the lower order in the view controller scene as shown in the below Xcode interface builder screen. 2.Create new xib for custom tableviewcell for menu window. 4.1. Bind the menu items. 4.2. CATransition is used to give transition effect to left menu. 4.3. UIView.Animate is used to give up and down movement to description window. //transition effect to left menu. //up and down movement to description window. 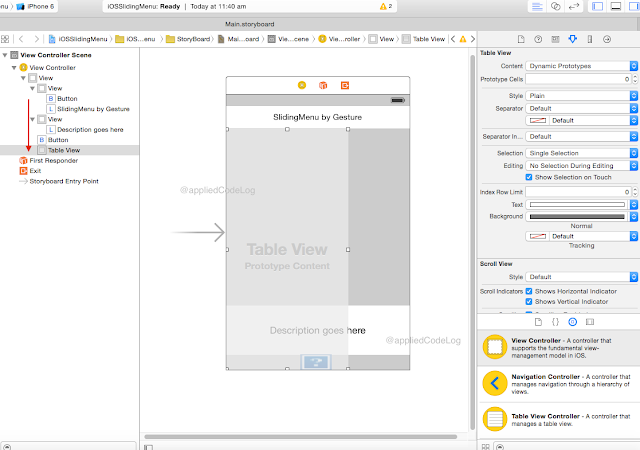 This is all about the implementation of GestureRecognizer,CATransition and UIView Animation in Xamarin.iOS,rest is the regular coding.